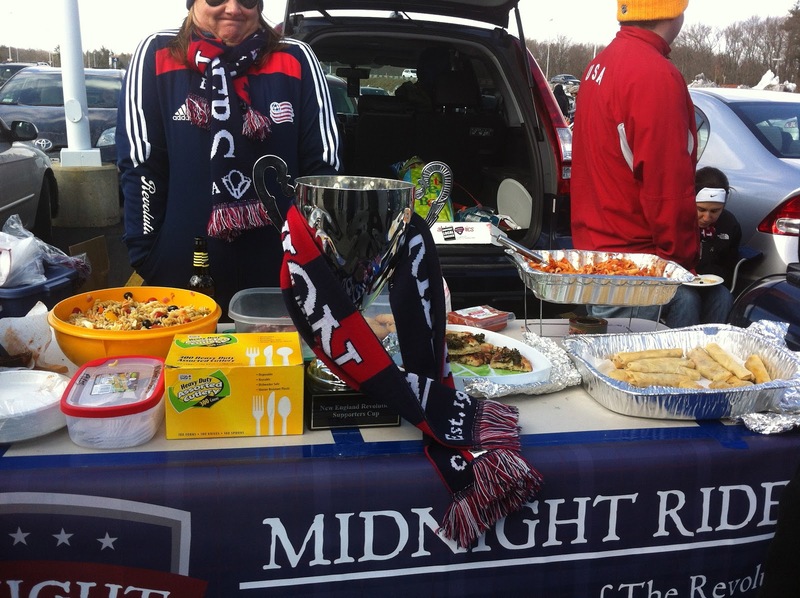 Last weekend we celebrated the return of the Revs to Gillette Stadium on a blustery New England day. The soccer was abysmal! The wind was whipping! But, as always, the food and company (and beer) were great. Alas, I served cool-ish, clumpy pasta. I swear it was delicious when it was hot! Thankfully, my many companions cooked delicious and hot cold -weather dishes to keep the crowd happy and full. 2. Heat the oil in a 12-inch nonstick skillet over medium heat until shimmering .Add the onion, tomato paste, and 1/2 teaspoon salt and cook, stirring often, until softened, 5 to 7 minutes. Stir in the garlic and red pepper flakes and cook until fragrant, about 30 seconds. Stir in the processed tomatoes. Reduce the heat to medium-low and simmer gently, stirring occasionally, until the tomatoes no longer taste raw, about 10 minutes. 3. Stir in the water and vodka, then add the pasta. Cover, increase the heat to medium-high, and cook, stirring often and adjusting the heat to maintain a vigorous simmer, until the pasta is tender, 15 to 18 minutes. 4. Stir in the cream and cook until hot, about 1 minute. Stir in the basil and season with salt and pepper to taste. Serve, passing the Parmesan separately.